Want to improve your bottom line? 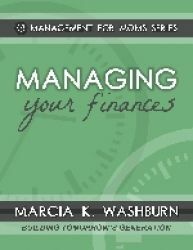 Let Marcia give you her best tips for getting control in this essential part of your life in Managing Your Finances from the Management for Moms Series. On sale now, or get the entire Management for Moms series for a special price here. Another super book in the Management for Moms Series. Again, this book can be used not only as a personal help book but to teach your children for their future! Mrs. Washburn compares our financial life to a house. The Foundation – Live Biblically Walls – Live Thoughtfully Roof – Live debt free Interiors – Live simply The Front Door – Live hospitably Each part of the house is critical and so is each part of our financial life. She also covers how to keep your household going while running your own business.